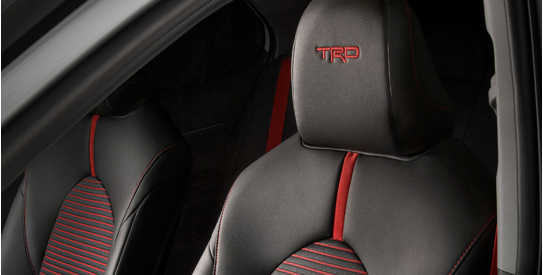 Toyota is stepping up their performance and style with the new 2020 Toyota Camry TRD and 2020 Toyota Avalon TRD. These sedans bring an aggressive, aerodynamic exterior to the table, custom-designed by Calty, Toyota's U.S. design studio. You can kiss boring commutes goodbye when you get behind the wheel of one of these vehicles. Toyota Racing Development has taken a unique approach to performance by powering both of these models with a DOHC 3.5-liter V6 engine and an 8-speed automatic transmission with sport mode and paddle shifters. With cat-back dual exhausts, the Camry and Avalon TRD models have a deeper, more full-bodied idle and acceleration sound. The Camry and Avalon TRD boast matte-black 19-inch alloy wheels, stiffer coil springs and front/rear sway bars to enhance their handling. 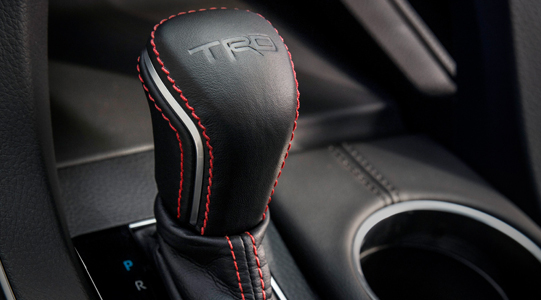 Their interiors also sport red trim and accents, a leather-wrapped steering wheel with red stitching and unique TRD floor and trunk mats. Interested in learning more about the 2020 Toyota Camry TRD or the 2020 Toyota Avalon TRD? Give us a call or stop by our dealership at 9001 Camp Bowie West, Fort Worth, TX 76116. We look forward to serving our customers from Arlington, Burleson, Weatherford and Keller!